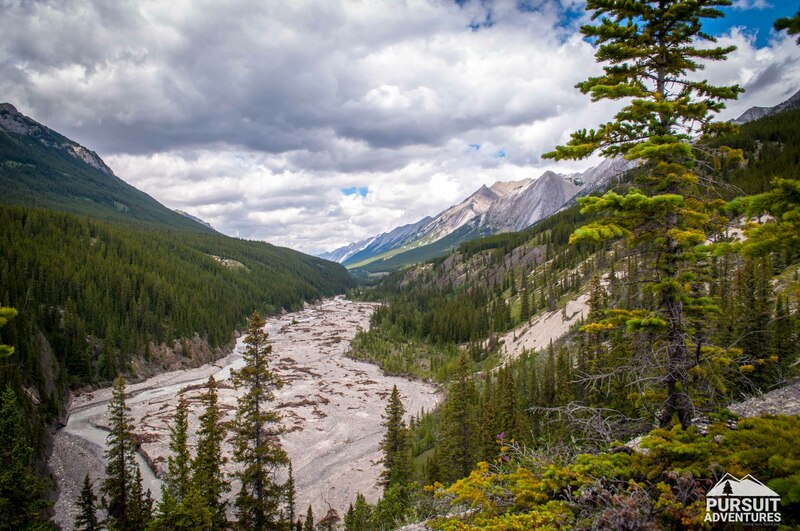 From prairies to the Rocky Mountains, Central Alberta has some of the best hikes around. Throughout David Thompson Country explore the quieter side of the foothills and the Rocky Mountains. Featuring spectacular waterfalls, jagged peaks, remote alpine meadows carpeted in wildflowers and glacier-fed lakes without the crowds. The Red Deer area is the perfect place for a stroll through the parkland and prairie landscape. From the City of Red Deer's extensive trail system to the J.J. Collett Natural Area there is no shortage of options. Many of Central Alberta's trails are poorly marked or not marked at all. Make sure to download the maps and bring a copy of the guide with you before your head out. Pursuit Adventures offers guided hikes throughout the year, from half day hikes like Whitegoat Falls to full day hikes to the summit of Coliseum Mountain. Sometimes you just want to head out on your own to explore the area. We get it. That's why we share all our trail guides. Coral Canyon is probably one of the most delightful half-day hikes in the area with gorgeous views and narrow canyons along the way. Make the most of your adventure and head out with a guide. Pursuit Adventures offers half day and full day guided hikes throughout Central Alberta from April to November.